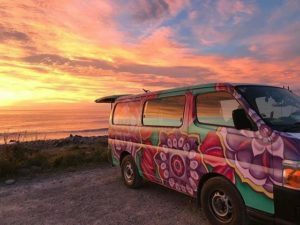 Hiring a campervan is one of the best ways to enjoy the beauty of New Zealand. It’s an absolute blast to drive around the country and explore its wonders at your own pace. 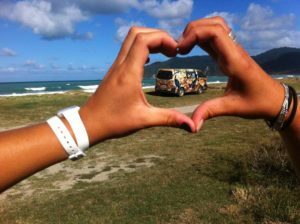 Having a well-thought out itinerary is important if you want to have an awesome campervan experience. For one, it could save you a lot of money. Campervan rental prices can change with the season; they usually increase during the summer (that’s December to February), so plan your trips around the off season if you wish to save. Speaking of money, watch out for hidden charges and extra costs. Some rental companies have extra charges if you’re under the age of 25. Others have hidden fees or extra charges for some services, so make sure to sort that one out (or choose a rental company that hates hidden charges as much as you do) before driving off into the sunset. If you’re an international tourist, you might find it a bit odd to drive on the left side of the road. You might also be unfamiliar with the rules and road signs. No need to worry. When you hire a van from us, we include a handbook on how to safely drive around NZ as well as a map to help you navigate. Familiarize yourself with the handbook and its rules to avoid nasty accidents. Other guidelines worth mentioning: don’t drink or do drugs whilst driving. Don’t smoke in your campervan (most companies will charge a fine if they find out!). If you need to leave your campervan, make sure you’re parking in a safe spot and that all the doors are locked. Remember, you’re driving a van in an unfamiliar place, so make sure that safety is your number one priority. While parking wherever you like and spending the night under the stars sounds like a dream, there are only limited spots to go freedom camping in our country. It might not the best option for you or the environment, either. The good thing is that there are tons of awesome holiday parks and campgrounds to spend the night in. Some campgrounds are free, while others require a small fee for you to use basic facilities. Holiday parks are a tad pricier than paid campsites but allow you to power up, dump your waste, use their shared kitchens and sometimes even do your laundry. Last but definitely not the least: don’t forget to have fun! 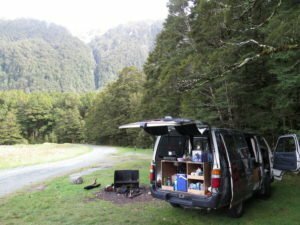 Campervan travel has become more and more popular in New Zealand because it allows you to enjoy the wonders of this beautiful country at your own pace. Go and explore beyond the beaten path. Take tons of photographs. Make new memories…and then come back for more. 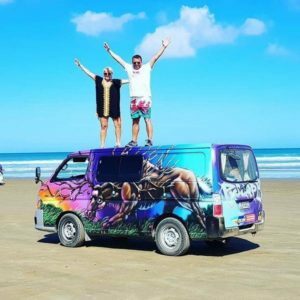 If you want the best campervan experience New Zealand has to offer, we might have a campervan or two that you’d absolutely love.